At Nobu sushi restaurant in the Hard Rock Casino, the ambience may cause you to forget that you are in a casino. Not only do the restaurant's bamboo accents and amazing black rock wall set a distinct atmosphere, their majesty may just help prepare you for the food. Nobu, created by the masterful chef Nobu Matsuhisa, won the 2003 and 2004 Epicurean Awards for being the best Japanese food in Las Vegas. As you might expect, this means that its food is a delight to the palate. Nor is it simply traditional Japanese food. Sushi lovers will find that they can broaden their sushi horizons by experiencing a fusion of Latin and Japanese tastes. 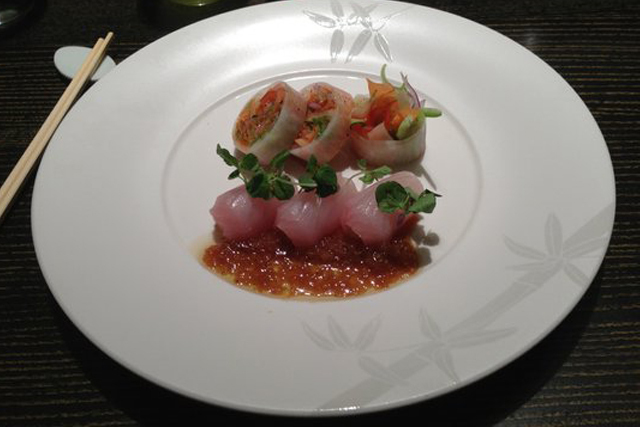 One of the most memorable combinations is yellowtail sashimi with jalapeno. Don't be daunted by these unique twists, they add a new layer to a Japanese meal. Other delectable dinner choices are Kobe beef carpaccio and tiradito with chili paste, cilantro and lemon juice. The infusion of Latin spice into the Japanese menu is obvious in these choices and makes them tempting to try. Service at Nobu is excellent. The staff will often go above and beyond to make sure that your dining experience is pleasant and memorable. 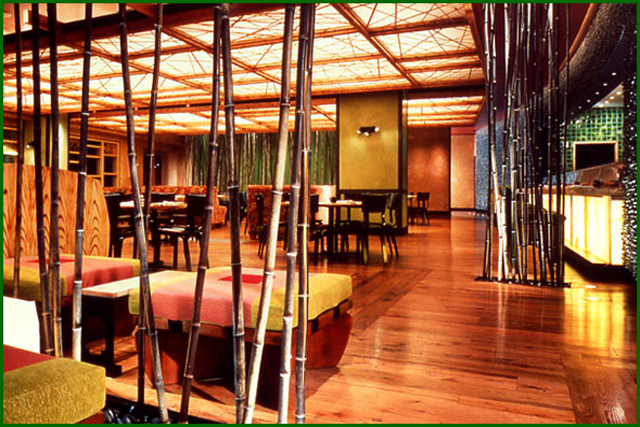 Eating dinner at Nobu could be a fantastic way to start an evening before heading to a club or a show. A full, happy stomach makes a night out more fun.